OnPage connects tickets to the right people, EVERY TIME! 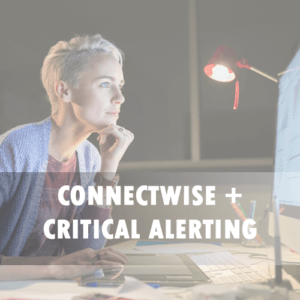 MSPs need to ensure that all critical alerts reach the right person at the right time. OnPage provides automatic, intelligent alerting that generates a complete audit trail. All of this is done seamlessly from within ConnectWise Manage, with real-time ticket and SLA updates. Persistent, fast, secure round-trip messages and alerts to mobile devices. Route messages via a flexible escalation workflow and complete audit trail. Easily create “follow the sun” schedules for individuals or groups. Dispatch alerts and receive responses via your current RMM or service ticket system. Real-time ticket and SLA updates. “In Progress” button – Allows incident responders to acknowledge the incident and change the status of the ticket to “In Progress” as soon as they begin working on the incident. 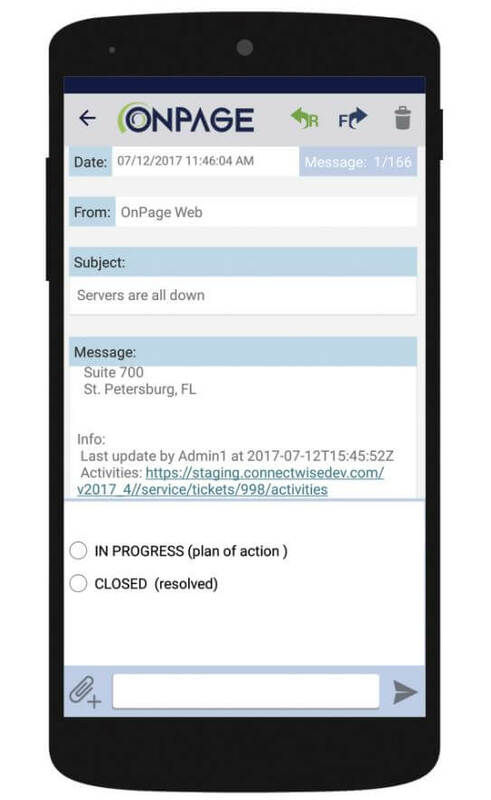 “Closed” button – Incident responders can refer back to the ticket on the OnPage app and use the “Closed” button to change the status of the ticket when the incident has been resolved. All updates to the original tickets are immediate and a thread of all replies from the OnPage app are saved within the ticket to make the process of post-incident reporting and incident management more effective. Dynamic Network Solutions (DNS) is a boutique MSP that operates 24 x 7 to support their clients. Before deploying OnPage, DNS relied on a convoluted and expensive setup for after-hours service. After reviewing the costs and problems associated with their legacy solution, DNS turned to OnPage. Improved its response time to critical IT alerts from 30 minutes to 60 seconds. Cut monthly costs by 75%. We love helping our managed service providers become superheroes! 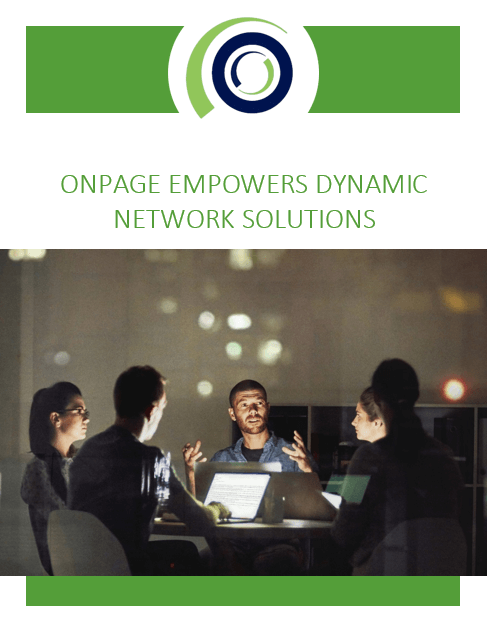 The OnPage incident alert management system helps MSPs reduce costs, streamline operations, keep their teams motivated and grow their business. 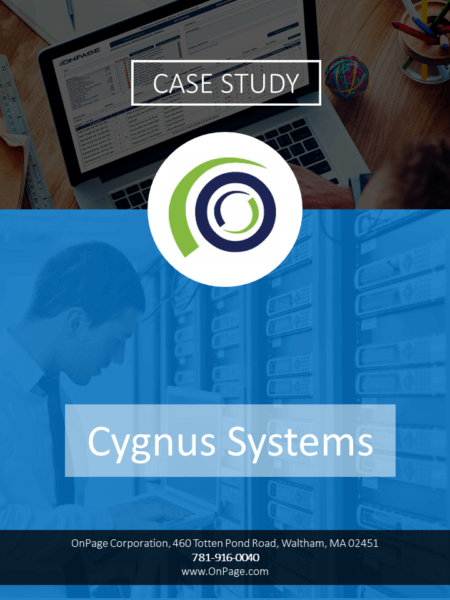 – Michael Silverman, Advanced Network Products Inc.
– Craig Isaacs, Cygnus Systems, Inc.